One January we joined the cruise ship Ventura from Southampton to the Canary Islands. On the cruise itinerary was a stop at Arrecife, Lanzarote. 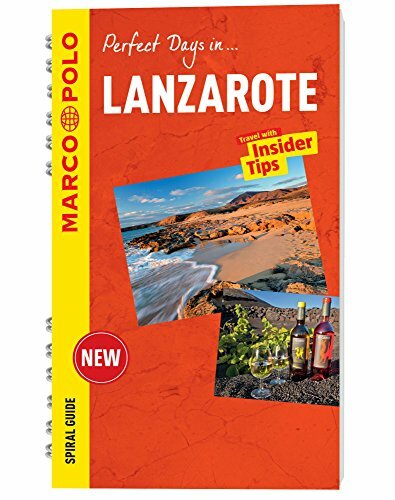 This would be my first visit to Lanzarote. I had not heard very good things about it as a holiday destination. It has the unfortunate nickname of Lanza-grotty which does not sound too appealing!! I thought I would share a few details on what I found there, and to let you know there is a lovely safe beach to swim on should you ever find yourself there. My Husband, Murray, and I took the coach from the ship to Arrecife and we were dropped off in a rather dusty and potholed square. On the way to Arrecife from the port we passed through very hilly, barren and sunbaked landscapes. I found out subsequently that Tenerife has a desert like climate, with very low rainfall. From the square we walked through an archway and I was quite surprised to see a very attractive square with bars restaurants and shops. The shops were closed as it was Sunday In the middle of the square was a large lagoon with attractive bridges and walkways, that lead through to the coast. In the distance we saw a castle, standing on a small island, we walked along a substantial foot bridge, to the castle, over a beautiful looking seawater lagoon. I saw a number of serious swimmers taking part in a long distance swim or triathlon in the lagoon. The water just looked so tempting, clean and clear, fish could be seen flitting around. The castle could only be admired from the outside as the museum housed inside was closed, and we spent a few minutes walking around the perimeter, there were a couple of enormous cannons outside as well. I believe the castle called Castillo de San Gabriel was built to replace a wooden fort that had been burnt down by pirates. Walking back to town we stopped at a bar for a coffee, it was nice and cool inside. Murray decided to get a taxi back to the ship with some friends we had met from the ship. I carried on and walked towards the beach, I had to pass a hideous high rise multi-storey hotel whose modern gardens had been vandalized, such a shame. Also, there were a lot of dark bars that were filled with men playing dominos. Perhaps this is what Spanish men do on Sunday’s? Anyway, they seemed to be enjoying themselves making a lot of noise as they slammed the dominos on the tables. Around the corner from the ugly hotel was a lovely looking beach with golden sands. The beach was well used mainly with Spanish families, having a great day out. The beach was protected by huge seawalls so there were no waves to speak off. The Canary Islands can have strong waves as they are right in the middle of the Atlantic Ocean, so the sea walls must have protected the beach well from these waves. I went for a lovely swim for over 30 minutes in the sea the water was nice and warm. As this was January my mind wandered back to the cold wet and windy weather that people were experiencing at home in the UK. Certainly made me think how lucky I am to be able to travel away from the UK in the winter. 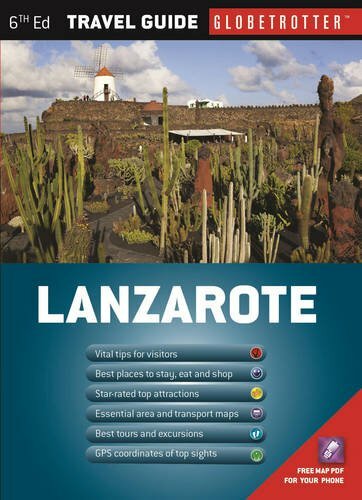 Lanzarote is certainly on my list of places to visit in the future to get some winter sun. Overall (apart from the ugly hotel) not quite as “grotty” as I was lead to believe. 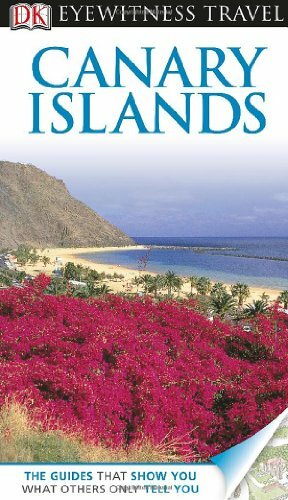 Here are 3 books about Lanzarote and The Canary Islands, that would be a useful guide books.